If you’re moving to a new home in Sierra Vista, AZ, there is more to explore than just your new hometown. 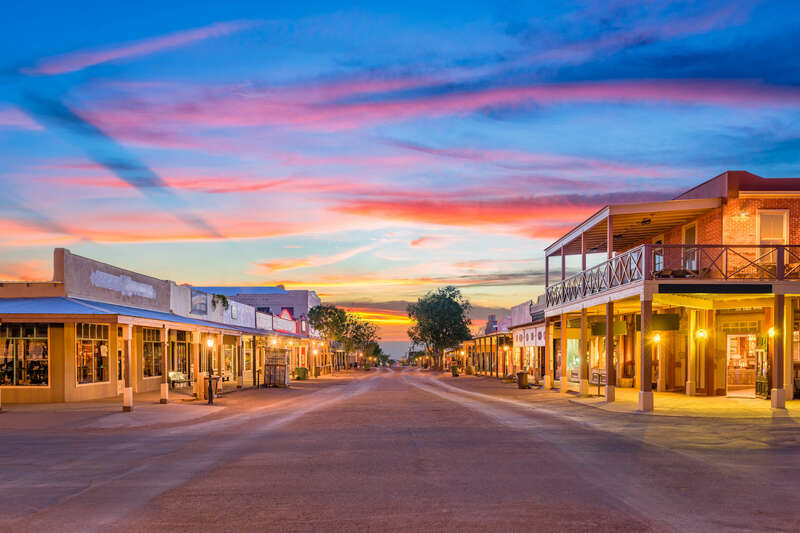 Though Sierra Vista itself has a lot to discover, you might plan a day trip to Tombstone, which offers a uniquely authentic Old West experience just 30 minutes from home. Here’s a quick guide to help you plan your trip. From Sierra Vista, it’s only about 25 minutes to get to Tombstone by car. Simply drive east on Charleston Rd. from Highway 90, and you will get there. Parking is available on the outskirts of town, and you should plan to do plenty of walking as you explore the center of town on foot. From Tombstone, it’s only another 30 minutes to reach Bisbee, so you might consider continuing the day there or making a multi-day excursion with the distinctive lodging options in both areas. Perhaps the most famous Tombstone attraction is live gun fight reenactments, which take place daily. You can also explore all that the “town too tough to die” has to offer on a guided walking tour or a rugged Jeep tour for the adventuring type. There are also trolley tours, live shows, mine tours, and an authentic shooting gallery, so you can easily fill your day with fun and excitement. With so much to do, it won’t take long to work up an appetite. Fortunately, there are tons of dining options, from the Crystal Palace Saloon & Restaurant to the Old West Chuckwagon to T. Miller’s Ice Cream & Sandwich Shop. Your new home in Sierra Vista awaits at one of several thoughtfully designed communities by Castle & Cooke. We have been building Sierra Vista’s premier communities since 1988, and we are ready to help welcome you home. To connect with us, call (520) 378-5110 or visit our website today.